There's nothing that makes me all a flush and oooohing and aaaahing more than the gorgeous two-wheeled fantasy machines gliding through Edmonton streets this summer. Bicycles are now considered fashionable, and of course, vintage is better. 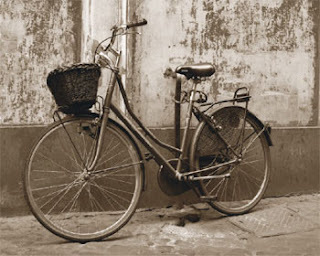 Wicker baskets, chiming bells and a few spots of rust give every bicycle a little more charm. What was once the poor lady's method of transportation is now the hipster's must-have accessory of summer. Hit up a garage sale for an affordable bike with real character. You'll be helping your heart, reducing your environmental impact and adding art and beauty to the city's landscape.